Epic Games has announced a partnership with the NFL that will see outfits based on all teams appear in Fortnite. Kicking off from 9th November at 4pm PT / 7pm ET (midnight UK / 1am CET the following day) players will be able to purchase NFL-themed outfits from the Fortnite Item Shop. 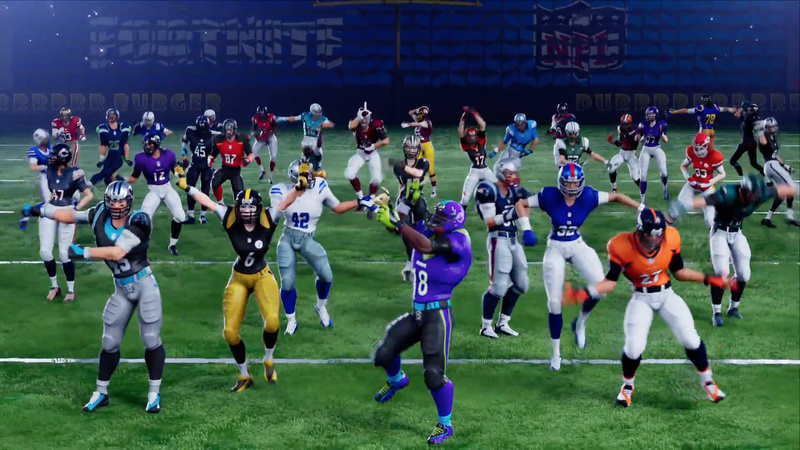 Each of these outfits can be swapped to any of the 32 NFL teams - so you can support your own team or swap between your favourite designs - and there will also be a unique 'Fortnite team', too. Are you a fan of both Fortnite and the NFL? Which team's jersey will you be sporting this Friday? Tell us below. Well can't argue with that. It's not a bad idea. I don't care for the NFL or any sports really, but I know many do, so good on them. Whelp... not surprised, but am surprised it took this long. There are no words to describe how disgusting Fortnite is to me. The "I hate Fortnite" comments on NL is almost as predictable as the physical release or Panic button commenters. @MaxlRoseGNR Funny thing is Epic couldn’t careless how you feel about their game. @AxeltheBuizel Quick! To the Playground mode!! This is neat, will get a couple for my kids definitely! I'd rather have Madden on Switch. Totally unrelated but since it's another fortnite article on NL. When are you going to switch to https instead of http. Chrome is complaining. @RickRau5 No, I just thought it was funny that Epic doesn't care as my post stated. Am I the only one who looks at the stuff in the shop and thinks “this outfit is $15! $20?! !” I have a hard time getting behind buying stuff with vbucks when I know an outfit is 1/3 price of a full game. Cash grab. I wonder if even NFL fans really think this would be worth spending actual money on. Epic games + the NFL. Even Simon Belmont and his supply of holy water couldn’t cleanse the stench of greed and evil wherever this unholy unity was made. @Mamabear I base it depending on how many hours you're gonna sink into the game and use that skin. Avid players can easily spend upwards of 300 hours in multiplayer games (and that's even on the low end), so I'd think that paying for cosmetics you'd use in even just a fifth of those hours is reasonable if you're really into said MP game as well as whatever team you're supporting. The NFL's trying to market its way to other media. 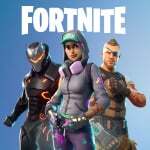 They've been seeing a decline in viewership since 2016, so what better way to ensure the viability of their huge business by tapping into the next generation of kids who play Fortnite? Honestly, though, the NFL will still be viable for many more years even without this. It's the leagues like NASCAR who should've tried doing this to maintain awareness of their product.